Produced in Europe to the highest of standards, Treotham Automation supplies an extensive range of flexible cables from Lapp Group. For free movements without tensile stress, the range of Flexible Cables is suitable for all markets and purposes. The extensive range of Flexible Cables from Treotham includes: Flexible Control Cables	VSD (EMC) Screened Cables	Power Cables	Halogen free Cables	High Temperature Silicone Cables Crane Cables	Ethernet Cables	Bus and DeviceNet Cables	Data cables	Instrumentation cables	Solar Cables	Curly Cords	Heavy Duty Rubber Cables	Motor and Servo Cables	Flat Cables Lapp Groups ÖLFLEX® has become synonymous with power and control cables. Their flexible and oil resistant cables satisfy the highest demands and can withstand even the very toughest conditions. 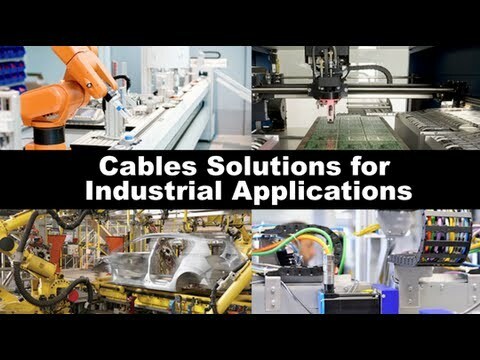 UNITRONIC® data network cables and field bus components from Lapp Group provide a forward-looking solution for all applications in industrial machinery and plant engineering. The ETHERLINE® branded products from Lapp Group open up a secure, fast and reliable path to the future of Ethernet applications. 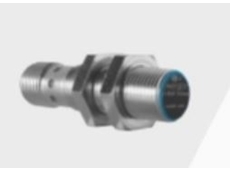 Treotham Automation offer a range of industrial connectors including: Rectangular multiple connectors from ILME, Circular connectors specifically for the entertainment/stage lighting industry from Socapex, Single pole Powerline connectors from TEN47, M23 circular connectors from Hummel. Ilme connectors Ilme connectors are suited to the toughest requirements in industrial environments Applications: Applications requiring a safe and removable electrical connection Railway and wind energy applications PLUSO and headers, tails and looms for lighting and entertainment industry ILME offer a range of special enclosures : Housings to suit flat ribbon cables	Cable passing hoods to accept multiple cables	In-line joints	T-Box coupling enclosureILME has a range of accessories including ground terminals for shielded cables, self-centering floating frames, coding pins, bridges for Start or Delta connections and reduction plates. They also have a range of high quality crimping tools for manual crimping as well as pneumatic crimping. Socapex connectors Headers, tails and looms Socapex SL61 connectors are the standard in the stage lighting and entertainment industry. Socapex is now worldwide known as the major connector manufacturer for entertainment applicationsPowerline connectors Powerline single pole connectors are used in lighting distribution panels. 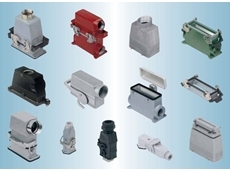 Typical applications include outdoor concerts, theatres, television outdoor broadcasts.M23 connectors M23 connectors and receptacles for signal and power applications are used in the harshest of industrial environments. 14/04/19 - Delicate or heavy goods are transported in different directions using ball tables. Equipped with the new polymer igus ball transfer units from Treotham, the ball tables ensure fast transport. The ball transfer units made of the high-performance plastic xirodur B180 ball bearings absorb loads of up to 500 N, are lubrication-free and maintenance-free, and ensure smooth running thanks to the stainless steel balls inside the roller.Ball tables are used wherever sensitive or heavy loads are transported between two points – these include items such as circuit boards, food, baggage/goods handling in airports, glass panes or goods in the sheet metal processing industry among others. 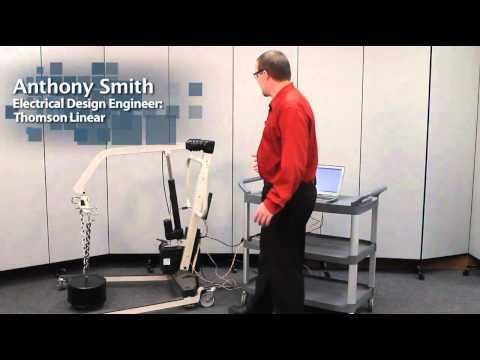 By using ball transfer units in the conveyor tables, loads can be transferred quickly and easily in any direction. The new ball transfer units from igus are made of high-performance polymers, which ensure smooth transport even at high loads. For the advanced polymer ball transfer units, igus uses their proven material, xirodur B180. 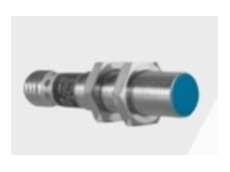 Being dimensionally identical to metallic ball transfer units is where the similarity ends; all igus units are lubrication-free and maintenance-free, ensuring no lubricating grease can adhere to the goods. 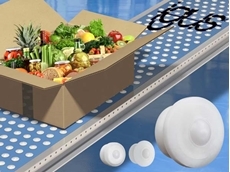 By using a plastic ball, the use of new rollers is particularly suitable when sensitive goods are to be transported. The ball transfer units can be used in any installation position, whether horizontal, vertical or overhead, which now also extends the field of application to the furniture industry.Five times more load bearing capacity due to new designThe optimised polymer ball transfer units have a new housing interior, so they can now take up to five times more load than before. 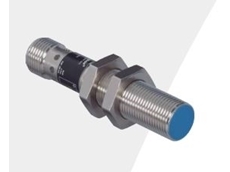 The ball transfer units are currently available in three installation sizes and, depending on their size, withstand an axial load of 150 to 500 N. Due to their material, they are very abrasion-resistant, have a long service life and have an electrically insulating effect. The rollers are mounted by simply pressing into the housing. If the user wants to additionally secure the polymer ball transfer unit, igus offers a clamping ring for extra security. 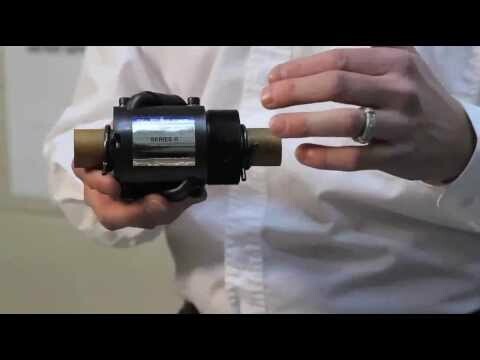 The ball transfer units can also be assembled on customer request individually as a completely metal-free and therefore non-magnetic solution.For more information, please visit the Treotham Automation website www.treotham.com.au or call 1300 65 75 64. 13/04/19 - Treotham has enriched its range of Ilme MIXO modular inserts with the new CX 02 CHF/CHM high voltage 2 poles single module, particularly suitable for the automation and railway sectors. The new CX 02 CHF/CHM grants more flexibility thanks to its rating (16A 2500V 15kV 3) combined with the space-saving design.The Ilme MIXO series is a system of modular units for special applications that uses the traditional Ilme enclosures. The inserts are arranged side by side to form a single compact block, which is inserted into metallic frames with mandatory housings. Once the modules have been inserted and locked with the special tabs, the connector can be placed into the enclosure.The open connector system provides versatile configuration to the users' individual requirements, giving the freedom to assemble a customised connector from a range of almost 40 modules for electrical power, data transmission, optical signals or air. 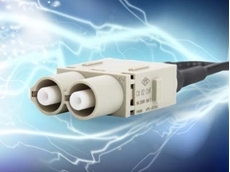 The robust module range is continuously expanding, allowing new configurations to be realised.The new CX 02 CHF/CHM is provided with two contact holders made of PTFE and heat shrinking tubes for the installation of the relevant silver and gold plated crimp contacts (wire cross-section from 0,5 mm² to 4 mm²), ensuring an outstanding high-voltage insulation. A dedicated contact extraction tool (CH1ES) is also available from Treotham.For more information, please visit the Treotham Automation website www.treotham.com.au or call 1300 65 75 64. 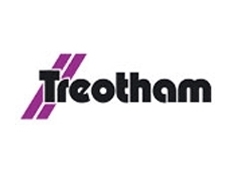 12/04/19 - Treotham offers a new ready-to-connect highly flexible chainflex hybrid cable suitable for SEW and Siemens motors for use in energy chains.Users looking for a flexible drive cable can choose this cost-effective technical solution from Treotham. For SEW and Siemens motors, igus has now developed the CF280.UL.H, a new hybrid cable specifically for use in the energy chain. Users of intralogistics, machine tool construction or the automotive industry can now rely on a solution with a 36-month guarantee. The cable can either be supplied by length or as a ready-to-connect readycable.In order to drive motors, many engineers increasingly come face-to-face with hybrid cables. 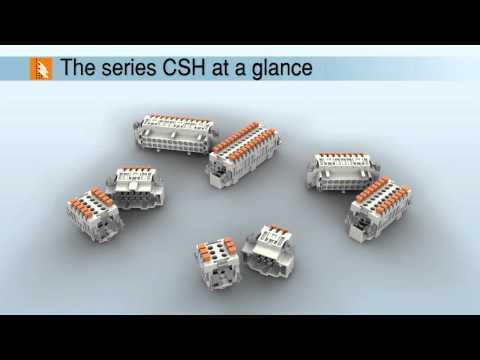 In these drive solutions, the energy supply and other functions run on a single cable. 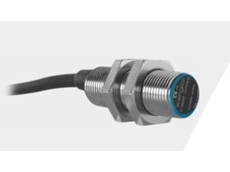 For example, motor manufacturer Siemens can replace the encoder cable with a BUS element and add this to the energy cores, eliminating the need for cabling with a separate measuring system cable for the encoder. 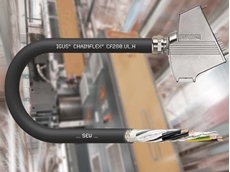 Treotham has now expanded its low-cost igus hybrid cable series with the CF280.UL.H, which is suitable for SEW and Siemens motors. 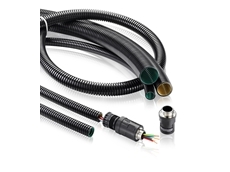 The new highly flexible cable is specifically designed for use in the energy chain. It is suitable for applications up to a bend radius of 10 x d across all industrial sectors from the machine tool and automotive industry up to intralogistics. Even temperatures from -25 degrees up to +80 degrees Celsius pose no problem for the cable. 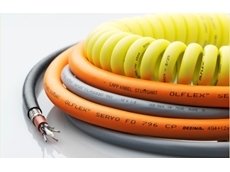 Depending on the manufacturer's specification, the new hybrid cable has a black or orange oil-resistant PUR outer jacket, and is coolant-resistant and flame-retardant. A braided shield with high coverage ensures good EMC protection of the cable over a long service life. igus regularly carries out continuous tests on all cable ranges in the world's largest laboratory spread across a floor area of 2,750 square metres. In a series of tests at 7.5 x d, hybrid cables survived over 8 million cycles without damage. 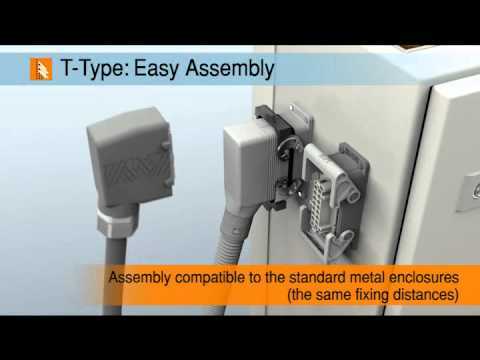 Another advantage of the new cable series is that it has the American UL approval, as well as the EAC and CTP certificate for the Russian market.In response to customer requests, igus harnesses all its cables with the appropriate connector in-house. 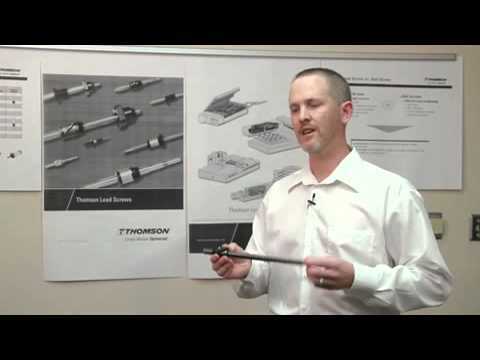 With more than 4,200 drive cables available made in line with 24 manufacturer standards, the customer always finds the most cost-effective cable for their application. All cables are tested after harnessing and receive a seal. By testing all chainflex cables during motion under real conditions, igus has acquired the unique position as the only manufacturer on the market to offer a 36-month guarantee on its entire range of cables. The igus chainflex cables are available harnessed from Treotham Automation.For more information, please visit the Treotham Automation website www.treotham.com.au or call 1300 65 75 64. 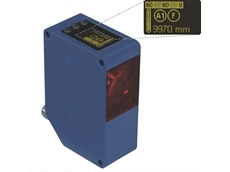 11/04/19 - The new enhanced ilme female D-Sub shielded module from Treotham is the perfect solution for a wide range of sectors, including automation, robotics and energy.The D-Sub modules offer a T-connection for RS-485 BUS systems, making it also suitable for Motor-Control-Centre technology (MCC). 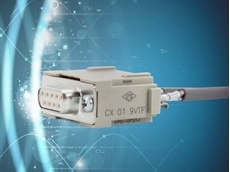 The new version of the 9-pole module (CX 01 9VTF) is equipped with a printed circuit with 2×2 screw terminals for the cable connection and grants a complete wire shielding. 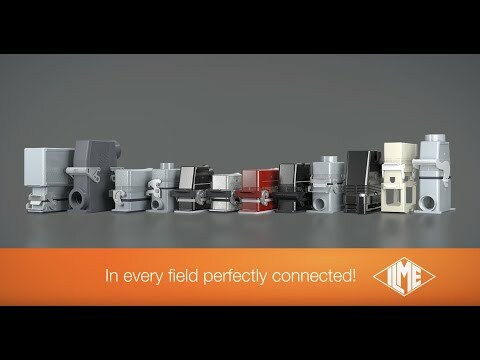 Together with the relevant existing male connector (CX 01 9VM), it enriches the ILME MIXO series of modular inserts.For more information, please visit the Treotham Automation website www.treotham.com.au or call 1300 65 75 64.